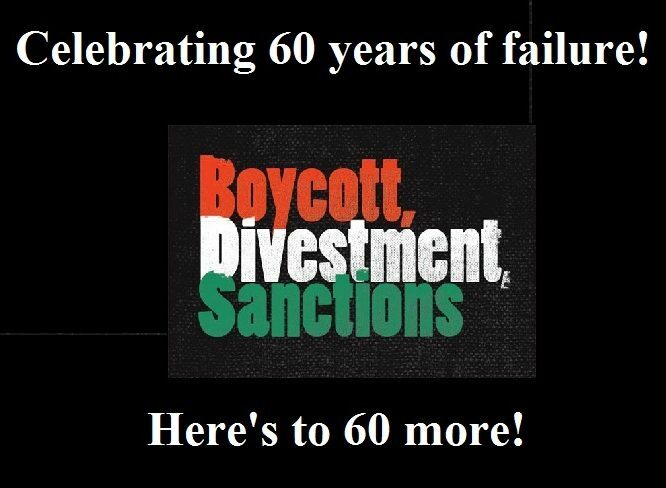 BDS claims to have “momentum” on its side: that one perceived success will lead to another and so on until the movement finally succeeds at destroying Israel, its ultimate goal. However, if reality is anything to go by, the momentum is against BDS and in favor of Israel. This page collects some of BDS’ more spectacular failures. For a list of on-campus BDS fails, click here. A planned divestment campaign in California in 2011 failed to gather the necessary number of signatures to even get the state government to consider a motion to divest. In the fall of 2014 South African divestment activists tried to convince Woolworth’s, a local department store, to divest from Israeli products. This quickly led to a boycott of Wooldworth’s itself, which did not work, as Woolworth’s has flourished while easily withstanding BDS pressure. Other South African stores like Dischem have also ignored the boycotters. Elsewhere an attempt to level sanctions against Israel by South Africa failed when the Parliament sent two envoys to the region to see for themselves what was going on. In the summer of 2014 a group of BDSers crashed the gates of a port in Oakland to prevent an Israeli ship from unloading products. Although they delayed the boat for four days, it did ultimately succeed in its mission and another attempt at stopping an Israeli boat failed utterly in Seattle a few days later.